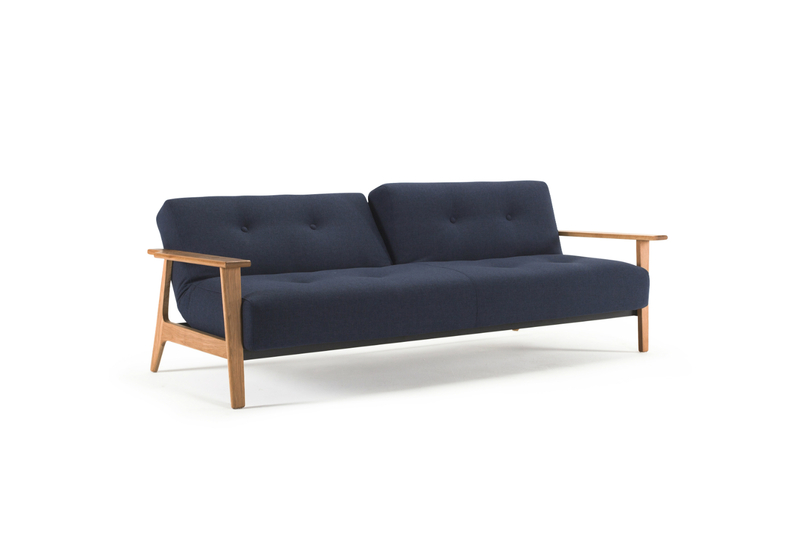 The Ample king single Sofa Bed with Frej armrests has a Scandinavian elegance. 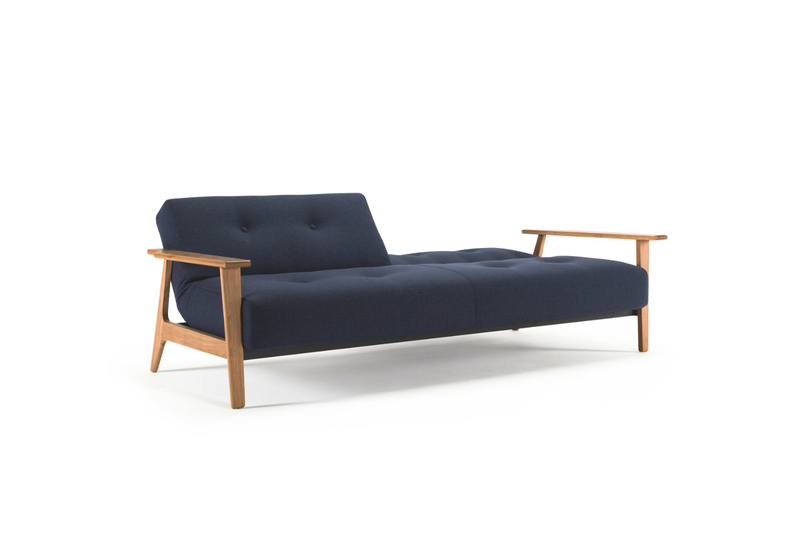 Armrests are made of lacquered Danish oak, while the frame is in matte black lacquered steel. 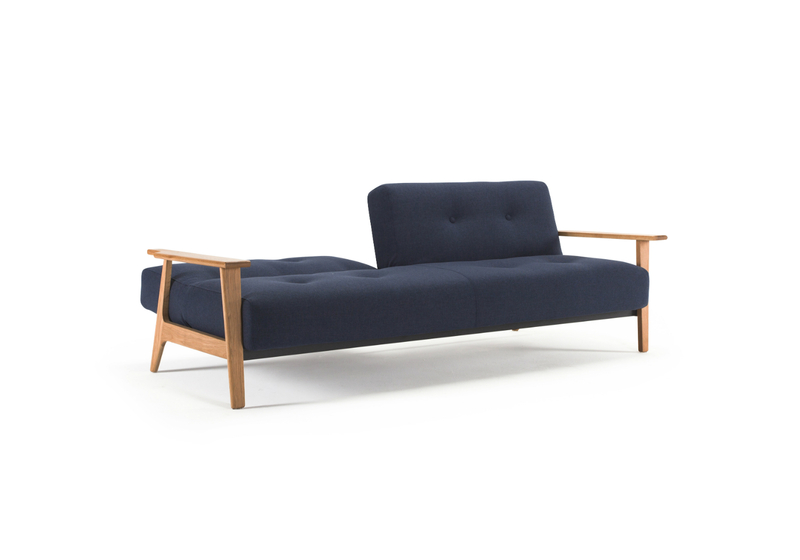 The Frej armrests has been designed by Per Weiss and his son Oliver. 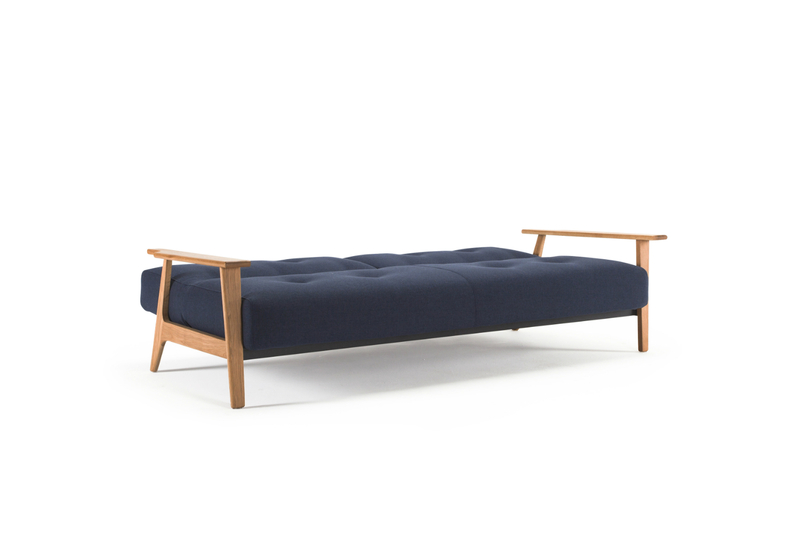 A beautiful statement for any living space. The Ample has an larger spring than many of our other clic-clac styles. This makes it a more comfortable seat and bed.